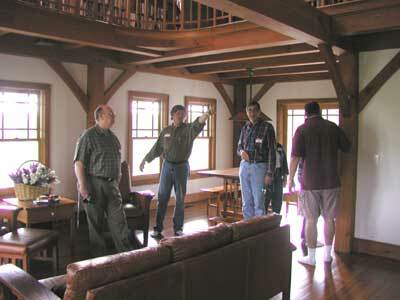 The April 5th seminar was a sell out and we had a lot of fun talking about timber frames and visiting Tim and Wynter's timber frame home and guest house. Below are some pictures we took to share with you. 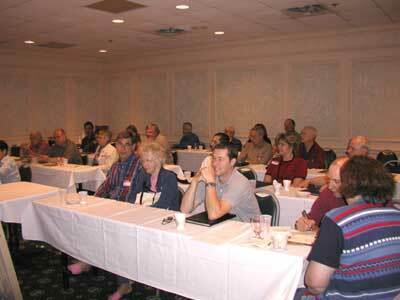 If you were at the seminar, we thank you and appreciate your attendance. If you missed it, look at all the fun we had! We had a great turnout and lively discussions. I believe Tim is trying to answer one of those "tough" questions... or maybe he is just "waxing on" about some particular joinery detail! 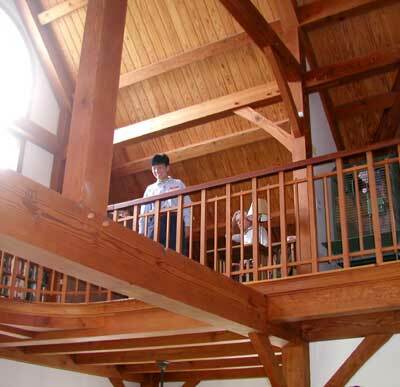 We spend a lot of time working through the actual process of designing a timber frame home from the home owner's perspective. 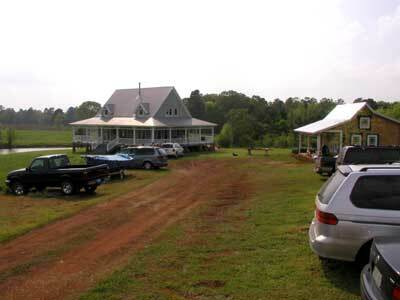 Tim used his home in Nacogdoches as an example of the process. The questions kept coming and no one drifted off! Actually, it was the chocolate and coffee at the afternoon break! Lots of folks took notes as Tim discussed the various ways to arrive at a site selection and work out room placements to form a working floor plan. Other hot topics were placement of mechanical and of course, how much does it cost. We all gathered at Tim and Wynter's place for a special tour of their Texas Farm Style timber frame home and Guest House. Almost everyone agreed that this was the highlight of the seminar and it was especially interesting to see how all the planning paid off for Tim and Wynter. Tim points out various design details worked out during the planning of their home. Stair details, floors and windows were especially popular topics. It was very interesting to see people's reaction to the quality and style of the home. 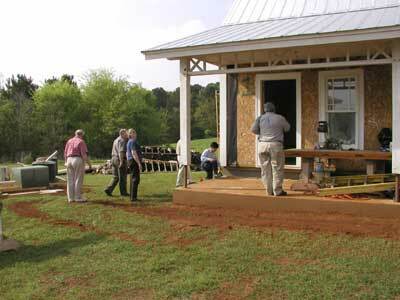 For many, this was their first timber frame home visit and it was an opportunity to see it all come together. Although the home is just under 2000 sqft, the expansive interior views and wraparound porches made the home feel much larger. This is a view from the first floor toward the upper level library. Most folks felt the home presented a very warm and inviting ambiance and the interior was light and airy. It was also very interesting to see a timber frame home under construction. Tim's Guest House drew lots of question about construction details. It all came together for a lot of folks when they could actually see how SIPs, metal roofs, porch details and interior wall finishes were actually done! 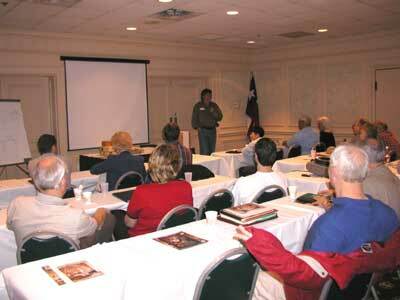 In all, it was a very informative and fun day at Red Suspenders. We hope you can join us for the next Design Seminar!